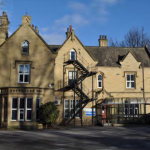 The Health Support Team works from Bradford (Waddiloves Health Centre), Keighley (The Oaks) and Skipton. The health support team will offer support if your needs cannot be met by mainstream services. There are lots of health professionals and health support workers in the health facilitation team. There are dietitians, learning disability nurses, occupational therapists, physiotherapists, psychiatrists, psychologists and speech and language therapists. Dietitians may help a person plan a healthy diet. Occupational therapists will support a person to be actively involved in every aspect of their life. They may assess a person’s skills and suggest equipment or approaches that may help. Psychiatrists are doctors who will support a person who has mental ill health. Psychologists help you and the people who look after you to understand your feelings and behaviour and support you and the people who look after you to feel better and do things differently. Learning disability nurses help people get their physical, mental and emotional needs met when they need extra support with this. 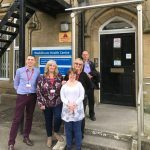 They will work with the person, carers, GP, hospital or other health provider to ensure people get reasonable adjustments made to access the right health care. Health support workers work closely with the other people in the team and support people to access lots of different areas of their health, such as getting to appointments, working in physio clinics, making health plans easier to understand or doing desensitisation work. Speech and language therapists can support people with their communication. They can find ways to help you understand information, and ways to help you express yourself. Speech and language therapists may also help if you have difficulties with your swallowing, eating or drinking. Physiotherapists can help you to walk better, help with your breathing if this is difficult and find ways to help you sit/sleep better using a mixture of physiotherapy treatments and equipment. We work with lots of different people – those who need a wheelchair for everyday living to those who can walk and be more independent. We might use exercise, a hydrotherapy pool or a trampoline to help you and help those that support you to help you reach your goals.